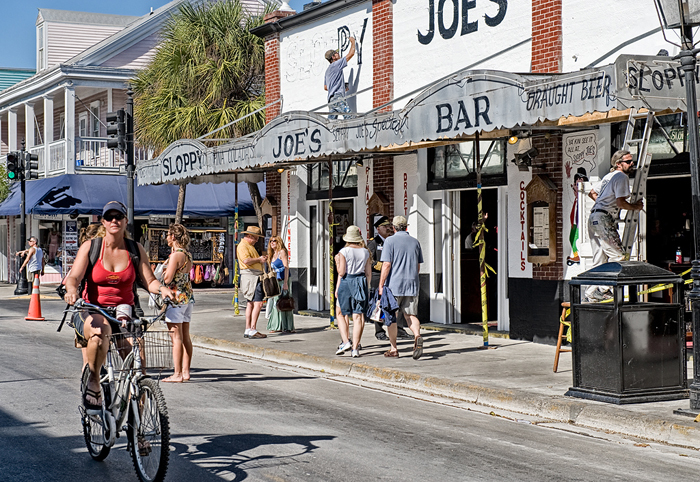 Sloppy Joe’s is along the main drag, Duval Street, where everyone collects around sunset. It’s a cool place to hang out, I felt like I was in college again at a rowdy bar. Beginning at 1pm 10% of the crowd is drunk and that increases exponentially each hour till everyone is singing the worst rendition of “Brown-eyed girl” I’ve ever heard.